Nadia was looking to freshen her eyes. Hooding of the upper eyelids and some crepiness of the lower eyelid skin were making them look tired. 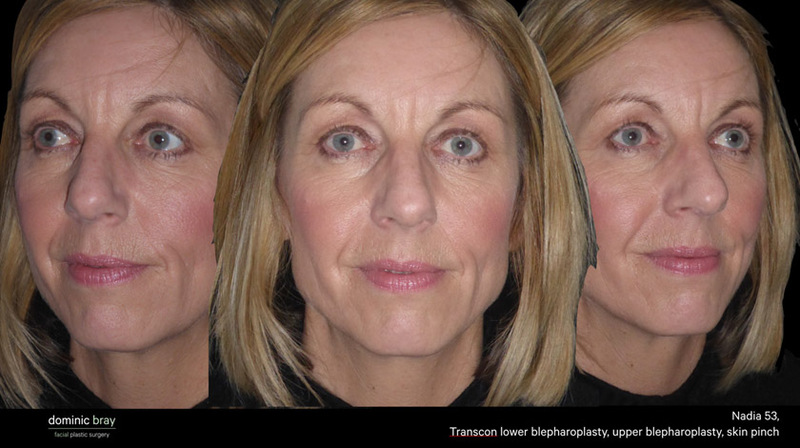 She underwent upper blepharoplasty, transconjunctival lower blepharoplasty, lower eyelid skin pinch and CO2 laser entirely under local anaesthetic. Eyelid surgery doesn’t need general anaesthetic. By planning the local anaesthetic appropriately all work can be done awake without feeling any discomfort at all. 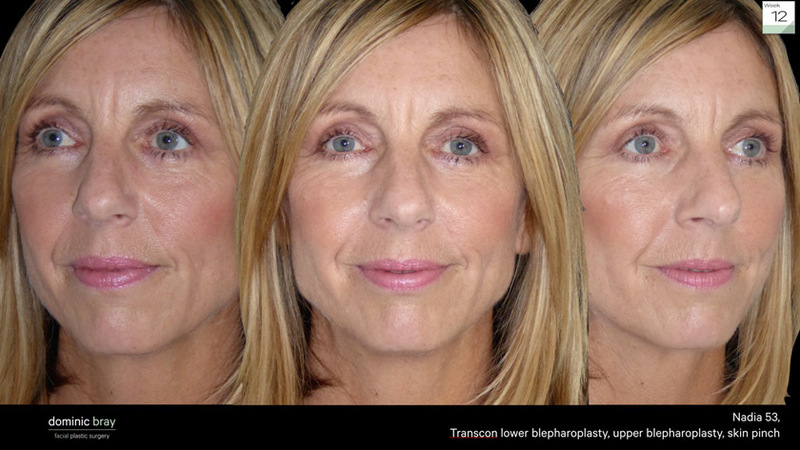 Nadia underwent upper blepharoplasty with excision of excess upper lid skin and reduction of prominent fat pads. I then approached her lower eyelid fat from behind the eyelid after completely numbing the eye and placing an opaque contact lens so she couldn’t see what I was doing. After the lower orbital fat pads were reduced and repositioned, there was excess skin of the lower eyelid which was pinched and removed prior to running the CO2 laser over the skin to resurface the crepiness. I never make full thickness incisions under the eye as I think it can lead to unnatural change in eyelid shape, hence the 2 step (bilamellar) approach. Sutures were removed at 3 days and the eyes completely healed at 2 weeks. The photo at 3 months is without eye makeup for direct comparison. A little wrinkle reducing injections in the brow and Nadia’s transformation will be complete. Such pretty eyes.